In what was a surprisingly close race as Star Wars: The Last Jedi managed to hold on to the top spot ($52.5 million) on the last weekend of 2017. 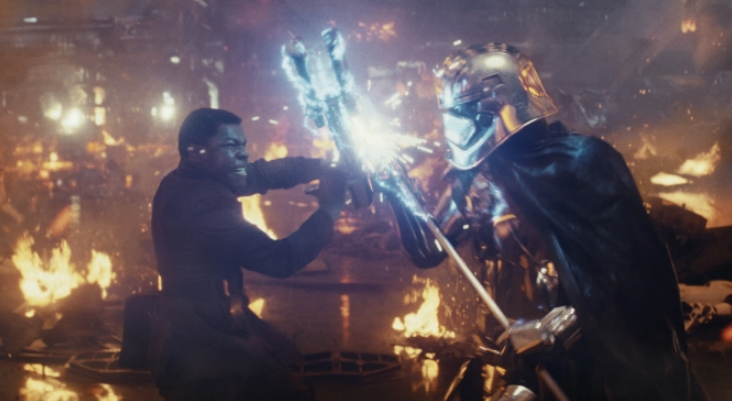 With a domestic total of $517 million, The Last Jedi, has surpassed Beauty and the Beast ($504 million) to become the highest grossing movie domestically. It also just passed the $1 billion mark worldwide... making it only the 4th movie of the year to do so (behind Beauty and the Beast, Fate of the Furious, Despicable Me 3). 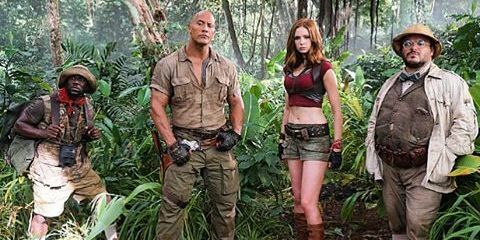 Jumanji: Welcome to the Jungle jumped up almost 40% from last weekend to $50.6 million. It so far has grossed $169.8 million domestically. Overseas, it has grossed $50 million, but that number is expected to grow once it starts rolling out in more countries. 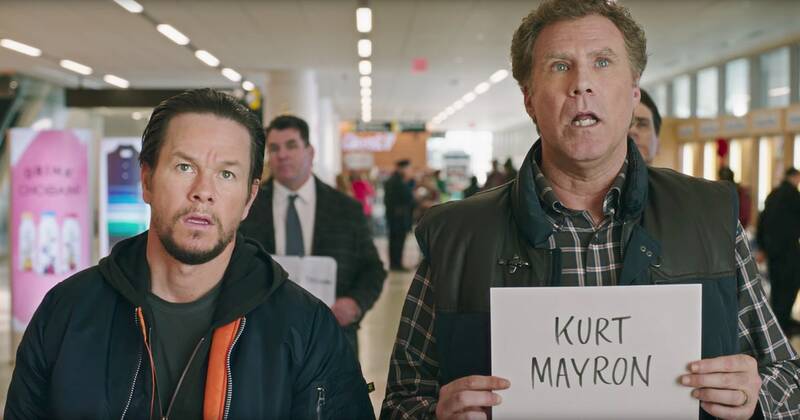 Only one new movie opens this Holiday week... Well, actually it opened on Christmas Day. 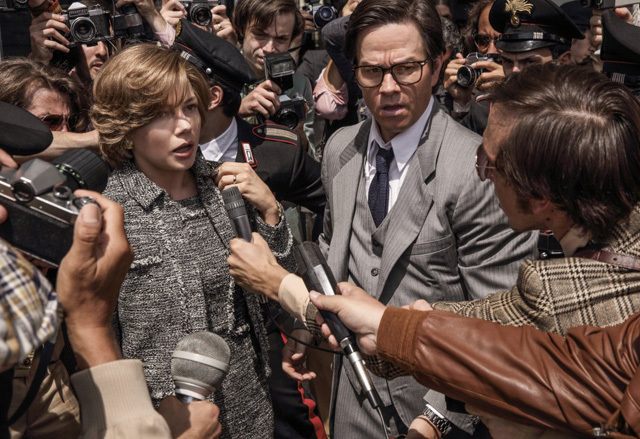 Hit Factor: A positively reviewed Ridley Scott film (80% Tomatometer)... Kevin Spacey being replaced. Flop Factor: Lots of competition at the box office. 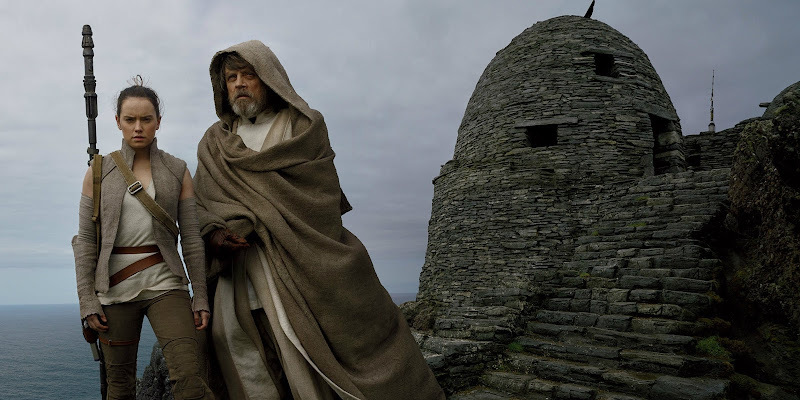 Despite dropping almost 70% from last weekend, Star Wars: The Last Jedi easily stayed at the top of the box office with $68.5 million. It has so far grossed $365.1 million domestically. Overseas, it has grossed $380.3 million for a worldwide total of $745.4 million. Thus, helping Disney jump Warner Bros. to become the highest grossing studio of 2017. As for the newcomers, Jumanji ($34 million) and Pitch Perfect 3 ($20.5 million), opened to decent numbers. While The Greatest Showman ($8.6 million), Downsizing ($4.6 million) and Father Figures ($3.2 million) have a big hill to climb. A slew of new movies opens this week, in time for the Holidays and ready to take on Star Wars: The Last Jedi. Also, The Shape of Water widens in release. Hit Factor: Hugh Jackman post Wolverine. Flop Factor: Lots of competition. Hit Factor: The Rock seems to have done well lately, except for Baywatch, I suppose. Hit Factor: The pitches are back for a third time. Flop Factor: Not much, this prints money for Universal. Hit Factor: Matt Damon in an Alexander Payne movie. Flop Factor: Reviews are so-so (57% Tomatometer), especially from one directed by Alexander Payne. Flop Factor: Seems like this is where Daddy's Home 2 should have been released. 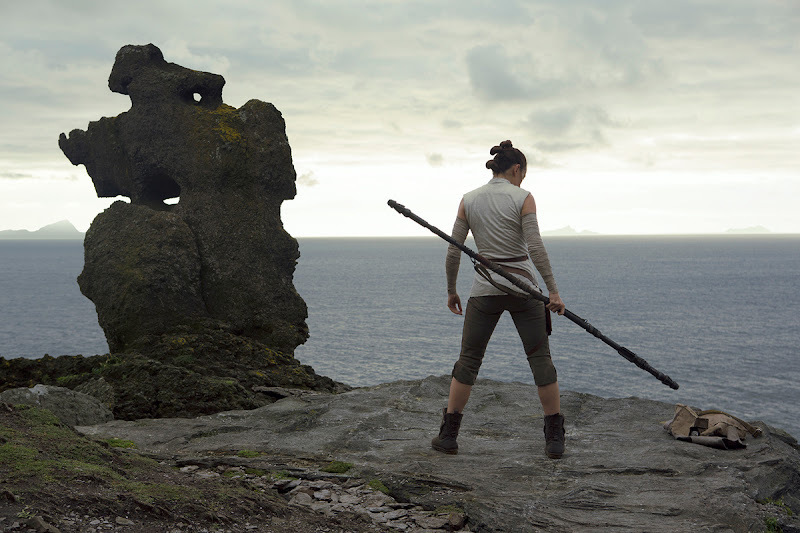 The latest installment of the Star Wars saga, The Last Jedi, easily debuted in the top spot this weekend with $220 million. It is the second highest opening for a movie, behind, guess... Star Wars: The Force Awakens' $248 million from a couple years ago. Overseas, it grossed $230 million for a $450 million worldwide launch. The Fox (or what soon may be Disney) animated flick, Ferdinand, came in a distant second with $13.3 million. Which, actually, isn't a good number since it's reported budget is $111 million. Perhaps, it will play well throughout the holidays. 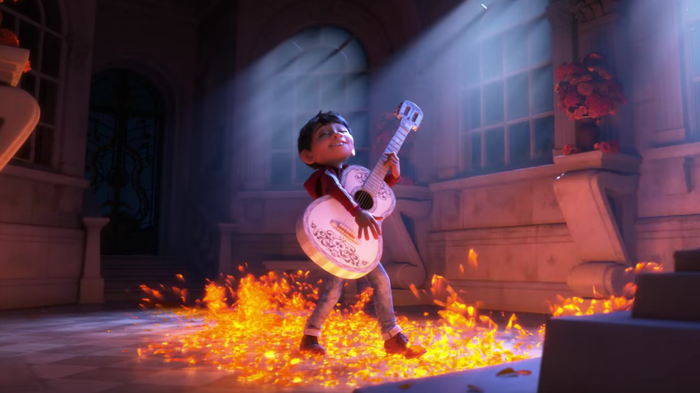 Disney/Pixar's Coco easily "threepeated" this weekend ($18.3 million). It has so far made $135.5 million domestically and raked in another $55.3 million overseas, bumping up it's overseas total to $253 million. It has grossed $389.5 million worldwide. The only other note this weekend, is the dramedy, The Disaster Artist, made $6.4 million for a 4th place finish in just under 900 theaters. As no new movie opens in wide release this weekend... expect Coco to take the top spot for the third weekend in a row. Actually, the highly acclaimed The Disaster Artist expands into a lot more (but still somewhat limted) theaters this weekend. 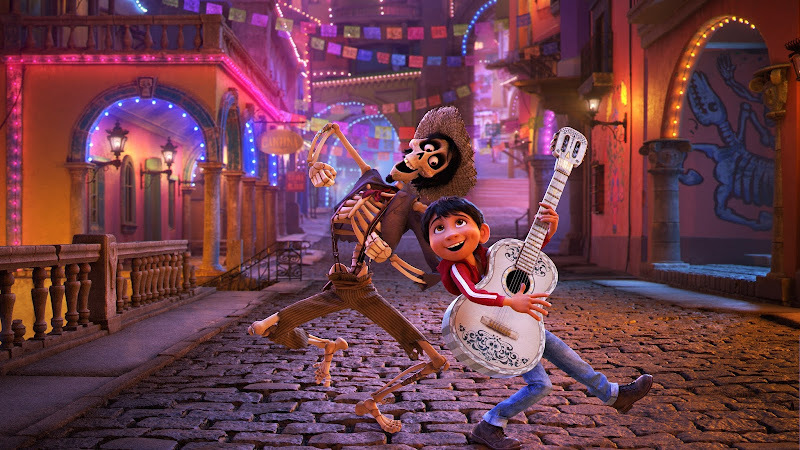 As no new movies were in wide release this post Thanksgiving weekend, the Disney/Pixar animated flick, Coco easily topped the box office ($26.1 million). It has so far grossed $108.7 million domestically and $171.3 million overseas for a worldwide total of $280 million. The Justice League's streak continues to fall as it dropped another 60% from last weekend to $16.6 million. It has grossed $197.3 million domestically, by it's third weekend. As a comparison, Thor: Ragnarok grossed $247.3 million by it's third weekend. Justice League has grossed $567.4 million worldwide, which sounds good for any other movie... but this is the Justice League. Speaking of Thor: Ragnarok, it surpassed the $800 million mark this weekend for a grand total of $816.4 million. With Star Wars: The Last Jedi still to hit theaters, it looks like Disney will surpass Warner Bros. and yet again top the yearly global market share. 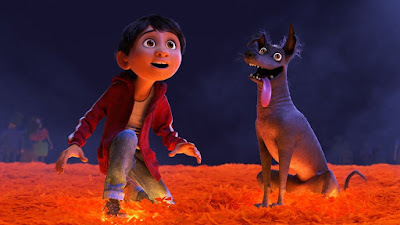 As no new movies are being released wide this December weekend, Coco looks to fend off Justice League again. FYI a couple of really well reviewed movies are hitting theaters in limited release: The Disaster Artist and The Shape of the Water. A Pixar film opens this Thanksgiving weekend, looking to best Justice League. Flop Factor: Perhaps Pixar head John Lasseter stepping down this week? Flop Factor: Title is hard to remember... A movie that needs good word of mouth is getting mediocre reviews (59% Tomatometer). While a $96 million debut is good for any other movie, it is actually the lowest of any of the films from the DC universe. And... especially so, since this is the first time the Justice League has ever been assembled on screen. I'm guessing it's poor to mediocre reviews (40% Tomatometer) detracted a lot of movie goers, who were on a wait-and-see attitude since being burned by Batman v Superman and Suicide Squad. It is also unfortunate that this movie was also plagued by reshoots and a change in director (due to tragic circumstances)... which bumped the budget up to the $250-$300 million range. It's one silver lining is that it pulled in $185.5 million overseas for an early worldwide total of $281.5 million. Wonder was the surprise of the weekend, as it grossed a huge $27.1 million for a second place finish. This reported $20 million budget movie felt like a movie most people would wait for video... instead, they showed up to theaters. Expect this movie to hold strong over the holidays. 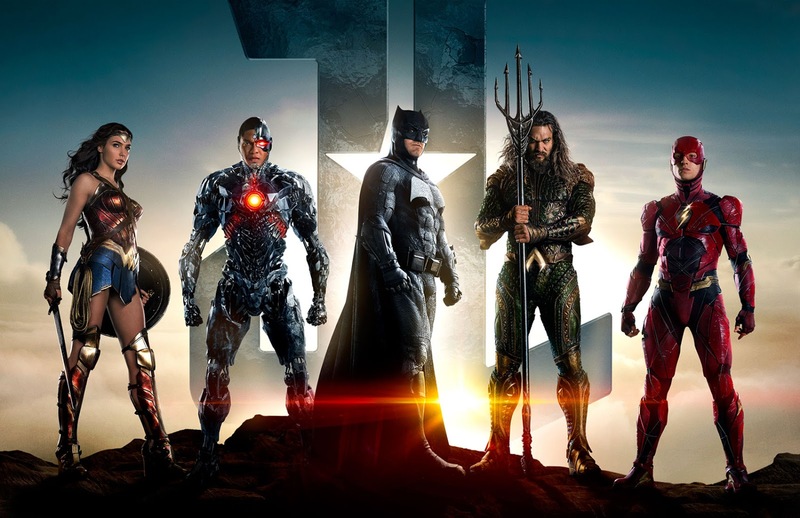 The Justice League bands together to make box office glory. Hit Factor: It's the first time in cinematic history we get to see these superheroes share the screen. Flop Factor: It's early reviews are less than stellar... though not bad. 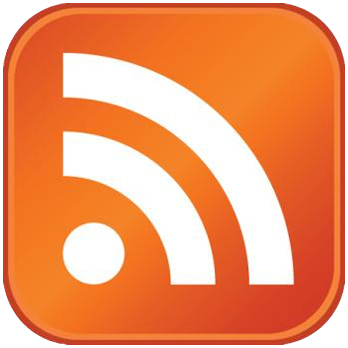 (55 on Metacritic (Rottentomatoes is deciding to postpone their reviews?)). Hit Factor: I actually haven't heard of this animated flick. Flop Factor: Really, I just heard it's opening in wide release today. Hit Factor: Smaller film that looks to pull the heartstrings. Flop Factor: Has to get word of mouth to stand out in the crowded box office. Thor: Ragnarok easily held on to first place this weekend as it grossed $56.6 million. 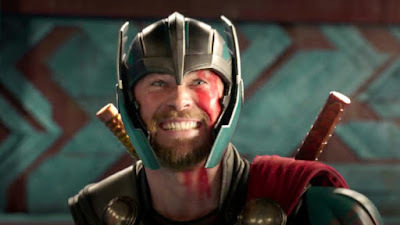 Overseas, Ragnarok took in $76 million for a foreign tally of $438.5 million, helping it's worldwide total climb to $650.1 million. Thor: Ragnarok is also now the highest grossing in the Thor series. Somewhat of a surprise are the number 2 and number 3 of the weekend... Both Daddy's Home 2 ($30 million) and Murder on the Orient Express ($28.2 million) beat expectations. A couple new movies hit theaters this November weekend. Flop Factor: The first movie came out around the Christmas Holiday. Flop Factor: Mediocre reviews for a remake of an acclaimed film. The mighty Avenger's third movie, Thor: Ragnarok, easily dominated the box office this weekend with $121 million. It's positive reviews (93% Tomatometer) and Marvel brand easily help it climb to the top. It's the highest debut for Thor film and the 4th highest of 2017... squeezing inbetween It ($123.4 million) and Spiderman: Homecoming ($117 million). 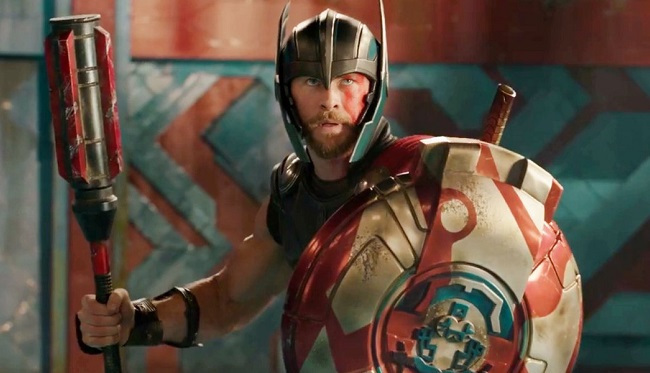 Worldwide Thor: Ragnarok has already made $427 million. A Bad Moms Christmas came in second ($17 million) this weekend. Although it's slightly less than it's predecessor, it's still a decent chunk of change for the reported $28 million budgeted flick. A Marvel favorite returns to theaters, while a Christmas movie debuts very early in theaters. Hit Factor: Marvel... The best reviewed Thor film (96% Tomatometer)... Also one of the highest reviewed Marvel films. Flop Factor: The last Thor movie wasn't that good. Hit Factor: Getting a super early start on the Christmas holiday season. Flop Factor: Didn't realize the original Bad Moms was popular enough to warrant a sequel. The latest in the Saw franchise, Jigsaw, spooked the audiences with $16.3 million in it's debut for the top spot this weekend. Compared to the rest of the series, it's the second lowest (out of 8th) debut. However, since it's reported budget is $10 million, Jigsaw, is already a success. I guess we should talk about that other movie, Suburbicon, starring Matt Damon and directed by George Clooney... It made only $2.8 million for a 9th place finish... most likely due to the fact it's getting poor reviews (24% Tomatometer) for a type of film that relies on good word of mouth to be a success. It was a pretty bland weekend at the box office domestically... to cap and end to a bland October box office in general. On the bright side, Thor: Ragnarok opened overseas a week ahead of it's release here to the mighty tune of $107.6 million. Can a horror movie franchise conquer the box office this pre-Halloween weekend amidst the World Series and binging of Stranger Things season 2? Hit Factor: Horror movies are over performing this year. Flop Factor: Are audiences still game for the 8th in the franchise? Flop Factor: The trailers make it look like another bland movie. In what seems like an October weekend dumping ground, Tyler Perry's Boo 2! A Madea Halloween, easily dominated the box office with a $21.7 million debut, fending off any bad critical acclaim (currently 8% Tomatometer). Oddly, it wasn't the only terribly reviewed movie in wide release this weekend, as the long ill-fated Geostorm (13% Tomatometer) and The Snowman (9% Tomatometer) got hammered as well. Unlike Boo 2!, audiences mostly stayed away. The only new movie to get positive reviews, Only The Brave (90% Tomatometer), unfortunately also got tepid results with $6 million for 5th place debut. What's also unfortunate, is that Blade Runner 2049, despite it's very glowing response, just is not going to have the legs to turn a profit domestically. It slipped to 4th place with $7.2 million and a total of $74 million. Worldwide, it has grossed $194.1 million. A bunch of movies hit theaters this October weekend. 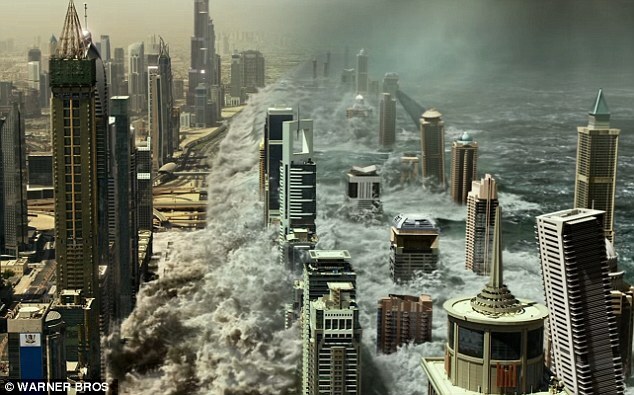 Flop Factor: Looks like an uninspired version of 2012 or The Day After Tomorrow. It's missing sharks. Hit Factor: Low Budget Tyler Perry movies seem to always find an audience. Flop Factor: His films usually don't get critical love. Hit Factor: Positive early reviews (95% Tomatometer). Flop Factor: Has a narrow target audience... seems comparable to the last couple Mark Wahlberg dramas. Hit Factor: Director of a couple acclaim films like Let the Right One In and Tinker Tailor Solder Spy. Flop Factor: Early reviews are suggesting the opposite (26% Tomotometer), ouch! 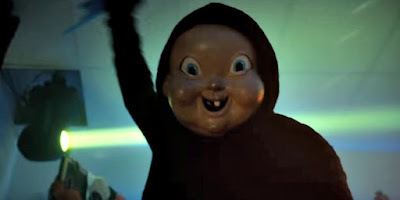 Blumhouse continues it's low budget success ($5 million reported budget) streak as their latest horror flick, Happy Death Day, debuted to $26.5 million, for an easy Box Office win. 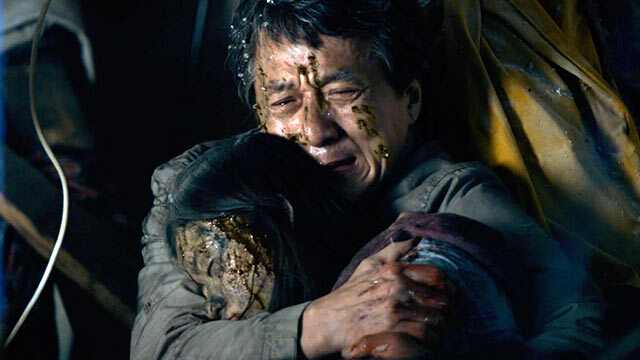 The other newcomer this weekend, The Foreigner, picked up a decent $12.8 million for third place. It's budget is reported around $35 million. The Foreigner has already made $88 million overseas for just over $100 million worldwide. Meanwhile, Blade Runner 2049 dropped to second place with $15.1 million... for a domestic total of $60.6 million and $158.6 million worldwide. Despite much critical acclaim, it's gonna have a tough time turning a profit (just like the original...ahem*, Blade Runner). Though, perhaps it still could gain some momentum overseas.